Panasonic’s new super-portable GM1 mirrorless camera has a large (compared to a P&S) Four Thirds sensor, built-in Wi-Fi for Smart Phone sharing, and it fits in a pants pocket. 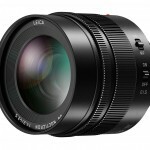 The new Leica Noctiron 42.5mm f/1.2 prime from Panasonic is the fastest lens yet for Micro Four Thirds cameras. 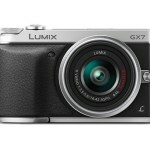 Panasonic’s new Lumix GX7 mirrorless camera appeals to serious photographers with in-camera image stabilization, built-in tilting EVF, and dual exposure control dials. Do you need more? 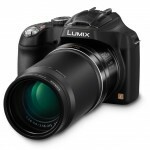 With a 60x 20-1200mm optical zoom lens, the new Panasonic Lumix FZ70 superzoom camera goes to eleven. A new joint sensor project from Fujifilm & Panasonic promises to deliver seriously improved image quality. This one is a big deal, folks! 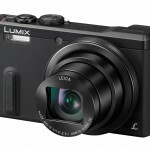 Panasonic brings back the viewfinder! 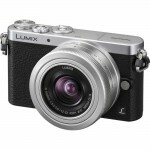 The new pocket-sized Panasonic Lumix LF1 premium compact camera has an 7.1x f/2.0 Leica zoom, built-in Wi-Fi, and a built-in EVF. Panasonic’s new G6, with built-in Wi-Fi, shows just how far mirrorless camera performance has come since the original G1 was introduced.